Two styles available to accommodate both shingle and tile roofing. 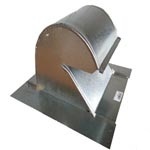 Sheltered internal air dampers provide one-way air venting. 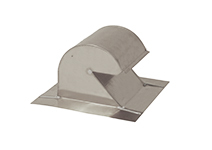 Round design enables superior air flow in kitchen or bath exhaust applications. Self-flashing flanges allow for easy installation. Limited sizes available without dampers. Carton and pallet quantities vary by size and style.